Our luxuriously soft beach towels are made from brushed microfiber with a 100% cotton back for extra absorption. The top of the towel has the image printed on it, and the back is white cotton. Our beach towels are available in two different sizes: beach towel (32" x 64") and beach sheet (37" x 74"). Don't let the fancy name confuse you... a beach sheet is just a large beach towel. Machine wash cold and tumble dry with low heat. 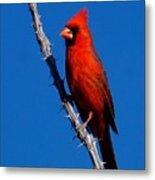 There are no comments for Northern Cardinal. Click here to post the first comment. I ordered this as a gift for our teenaged granddaughter. She loves it! We love the beautiful creations of artist, Terry Mac Donald and this was a great way to share one of them! Absolutely loved the original design but the Beach Sheet was a big disappointment. It was a different color scheme (bright pink instead of maroon??) and printed on a 50% polyester "towel". Returned. I HATE it !!!!!!!!!! The colors ARE HORRID !!!! Was out of the country and when I returned home I called and wanted to return it but was not able to get the mailing label *(they make it so difficult to return items), since the 30 day mark was in 2 days. I said "Oh the Hell with it " and took it to the Thrift Shop., $40 wasted !! 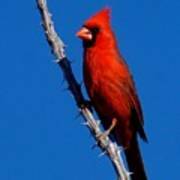 The Northern Cardinal is a fairly large, long-tailed songbird with a short, very thick bill and a prominent crest. 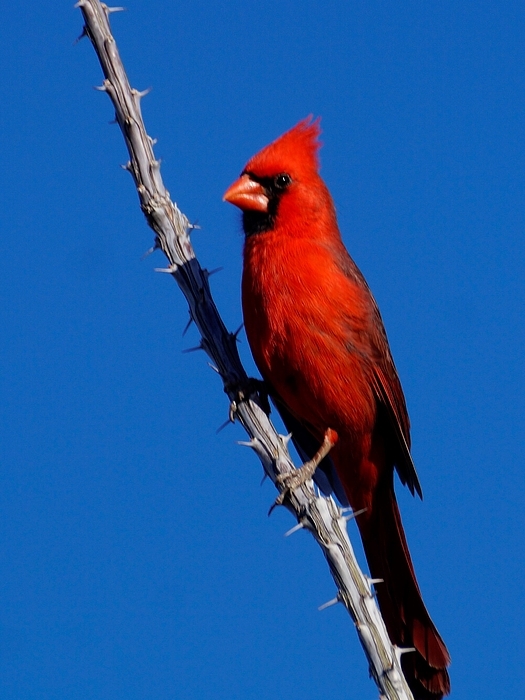 Cardinals often sit with a hunched-over posture and with the tail pointed straight down.This handsome specimen is perched upon a Ocotillo branch in Tucson, Arizona's Sonoran Desert. 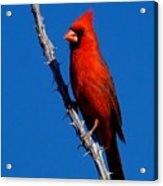 All beach towels ship from our production facility within 1 - 2 business days of your order.